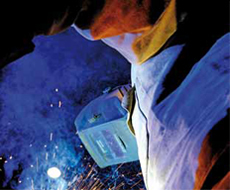 Your specialist for Elbows, Lances, Refractory Components and Steel Construction. 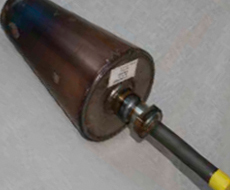 GSB Group was the first and continues to be the foremost monolithic refractory lance producer in Continental Europe. With its current production sites in Bochum (Germany) and Bhilai (India), GSB Group has become a well-established enterprise in the field of innovative special refractory products of the highest quality in the global Iron & Steel Industry. At GSB Group a team of entrepreneurs, experienced engineers and the dedicated members of the production team work ‘around the clock’ with the assistance of excellent production technology to assure customer satisfaction to the highest degree. 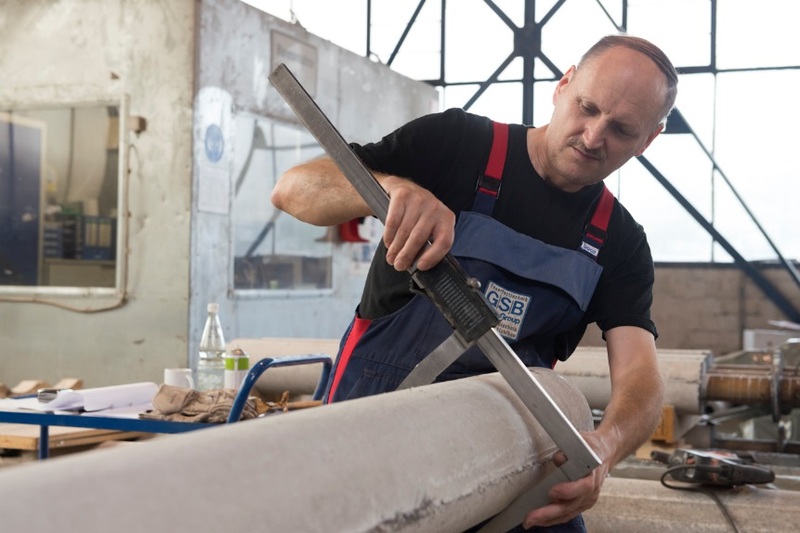 The art of manufacturing at GSB Group is the result of many years of experience in combining the best of both worlds in respect to decades of experience in steel reinforcement and refractory technology. GSB Group is in the position to offer a comprehensive range of premium quality products – Precast Shapes, complete RH-Degasser Snorkels, CAS-OB Bells, Slag Skimmers, Monolithic Ladle Lip Rings, Purging Plugs, Seating Blocks, Exchangeable Nozzles for Slide Gate Plates, Refractory Wall Panels, various Tundish Furnitures, as well as wear resistant Flexible Elbows and other products. This means complete one-stop solutions for all kinds of Monolithic Lances and all other aforementioned products for all GSB Group’s customers. Continuous product development and design activities are part of the enterprise’s day to day business. At GSB Group product development starts with our customers by defining their technological needs. Our products are developed with a concept of cost savings and the aim for continuous enhancement of product quality to benefit our clients. 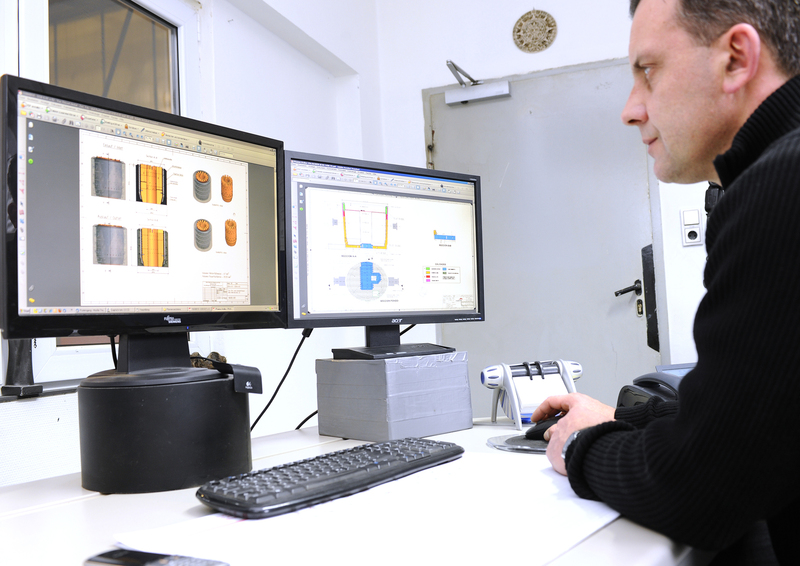 Our team maintains close ties to the leading German Universities and Institutes to ensure the implementation of the latest state-of-the-art technologies to secure our leading position when it comes to refractory technology. Slit-Type Lances, Non-Bending Lances and Ladle Lip Rings are just some examples of our latest technological innovations. 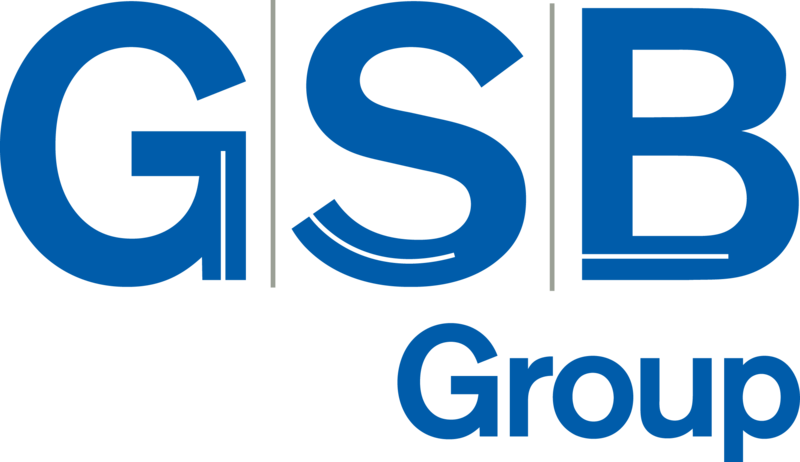 Quality and continuous improvement are at the core of GSB Group’s company policy and growth and our incentive. The processes defined during the certification of the company according to DIN ISO 9001 are implemented and lived by the staff to the highest standards. Quality consciousness is a fundamental part of our business philosophy and an integral part of all our employee’s actions. The enterprise is committed to providing the necessary human and capital resources, internal training and necessary organizational structure to ensure that our quality standards are maintained and production processes are improved continuously. GSB Group has extensive references worldwide and services its customers either directly or with the help of technically competent local representatives. Attending to our customer base, no matter how far the distance, we always have the corresponding logistics under our control are able to ensure a smooth and timely delivery. Our satisfied customers can be found on almost any continent. Our outstanding products with individual project approach make us a unique partner for your rigid refractory requirements. We develop, design, construct, and produce to customers specification. 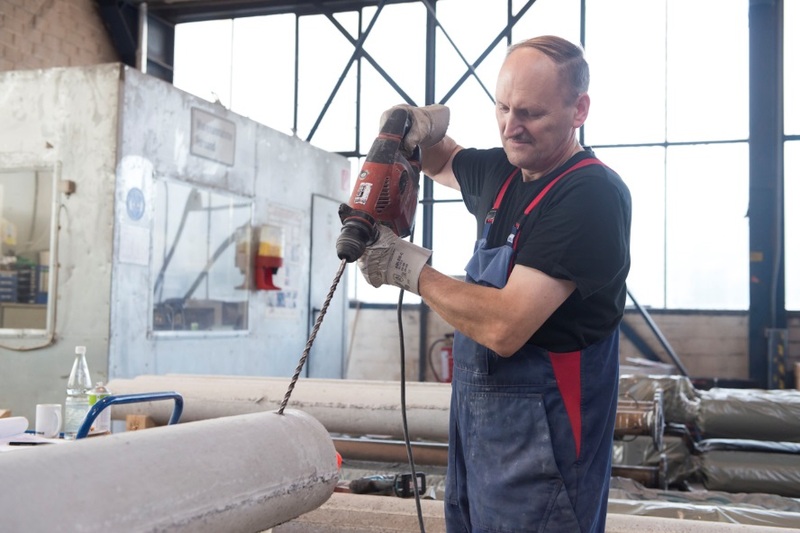 Our in house machine shop for steel construction, combined with modern refractory technology, offers complex, tailor-made solutions to meet the most difficult demands of your steel making. Recent major projects for a well know German steel producers include a massive fire protection wall for the continuous casting plant and a preformed Ladle Roof for secondary steel treatment. Whatever we do, our goal is to increase the product performance, the availability and efficiency of your operation. Interested? Questions? We’re here to help! We are very delighted that you have shown interest in our enterprise. Data protection is of a particularly high priority for the management of the GSB Group. The use of the Internet pages of the GSB Group is possible without any indication of personal data; however, if a data subject wants to use special enterprise services via our website, processing of personal data could become necessary. If the processing of personal data is necessary and there is no statutory basis for such processing, we generally obtain consent from the data subject. The processing of personal data, such as the name, address, e-mail address, or telephone number of a data subject shall always be in line with the General Data Protection Regulation (GDPR), and in accordance with the country-specific data protection regulations applicable to the GSB Group. By means of this data protection declaration, our enterprise would like to inform the general public of the nature, scope, and purpose of the personal data we collect, use and process. Furthermore, data subjects are informed, by means of this data protection declaration, of the rights to which they are entitled. As the controller, the GSB Group has implemented numerous technical and organizational measures to ensure the most complete protection of personal data processed through this website. However, Internet-based data transmissions may in principle have security gaps, so absolute protection may not be guaranteed. For this reason, every data subject is free to transfer personal data to us via alternative means, e.g. by telephone. The data protection declaration of the GSB Group is based on the terms used by the European legislator for the adoption of the General Data Protection Regulation (GDPR). Our data protection declaration should be legible and understandable for the general public, as well as our customers and business partners. To ensure this, we would like to first explain the terminology used. The website of the GSB Group collects a series of general data and information when a data subject or automated system calls up the website. This general data and information are stored in the server log files. Collected may be (1) the browser types and versions used, (2) the operating system used by the accessing system, (3) the website from which an accessing system reaches our website (so-called referrers), (4) the sub-websites, (5) the date and time of access to the Internet site, (6) an Internet protocol address (IP address), (7) the Internet service provider of the accessing system, and (8) any other similar data and information that may be used in the event of attacks on our information technology systems. When using these general data and information, the GSB Group does not draw any conclusions about the data subject. Rather, this information is needed to (1) deliver the content of our website correctly, (2) optimize the content of our website as well as its advertisement, (3) ensure the long-term viability of our information technology systems and website technology, and (4) provide law enforcement authorities with the information necessary for criminal prosecution in case of a cyber-attack. Therefore, the GSB Group analyzes anonymously collected data and information statistically, with the aim of increasing the data protection and data security of our enterprise, and to ensure an optimal level of protection for the personal data we process. The anonymous data of the server log files are stored separately from all personal data provided by a data subject. The website of the GSB Group contains information that enables a quick electronic contact to our enterprise, as well as direct communication with us, which also includes a general address of the so-called electronic mail (e-mail address). If a data subject contacts the controller by e-mail or via a contact form, the personal data transmitted by the data subject are automatically stored. Such personal data transmitted on a voluntary basis by a data subject to the data controller are stored for the purpose of processing or contacting the data subject. There is no transfer of this personal data to third parties. If one of the aforementioned reasons applies, and a data subject wishes to request the erasure of personal data stored by the GSB Group, he or she may, at any time, contact any employee of the controller. An employee of GSB Group shall promptly ensure that the erasure request is complied with immediately. Where the controller has made personal data public and is obliged pursuant to Article 17(1) to erase the personal data, the controller, taking account of available technology and the cost of implementation, shall take reasonable steps, including technical measures, to inform other controllers processing the personal data that the data subject has requested erasure by such controllers of any links to, or copy or replication of, those personal data, as far as processing is not required. An employees of the GSB Group will arrange the necessary measures in individual cases. If one of the aforementioned conditions is met, and a data subject wishes to request the restriction of the processing of personal data stored by the GSB Group, he or she may at any time contact any employee of the controller. The employee of the GSB Group will arrange the restriction of the processing. In order to assert the right to data portability, the data subject may at any time contact any employee of the GSB Group. TheGSB Group shall no longer process the personal data in the event of the objection, unless we can demonstrate compelling legitimate grounds for the processing which override the interests, rights and freedoms of the data subject, or for the establishment, exercise or defence of legal claims. If the GSB Group processes personal data for direct marketing purposes, the data subject shall have the right to object at any time to processing of personal data concerning him or her for such marketing. This applies to profiling to the extent that it is related to such direct marketing. If the data subject objects to the GSB Group to the processing for direct marketing purposes, the GSB Group will no longer process the personal data for these purposes. In addition, the data subject has the right, on grounds relating to his or her particular situation, to object to processing of personal data concerning him or her by the GSB Group for scientific or historical research purposes, or for statistical purposes pursuant to Article 89(1) of the GDPR, unless the processing is necessary for the performance of a task carried out for reasons of public interest. In order to exercise the right to object, the data subject may contact any employee of the GSB Group. In addition, the data subject is free in the context of the use of information society services, and notwithstanding Directive 2002/58/EC, to use his or her right to object by automated means using technical specifications. If the decision (1) is necessary for entering into, or the performance of, a contract between the data subject and a data controller, or (2) it is based on the data subject’s explicit consent, the GSB Group shall implement suitable measures to safeguard the data subject’s rights and freedoms and legitimate interests, at least the right to obtain human intervention on the part of the controller, to express his or her point of view and contest the decision. If the data subject wishes to exercise the rights concerning automated individual decision-making, he or she may, at any time, contact any employee of the GSB Group. If the data subject wishes to exercise the right to withdraw the consent, he or she may, at any time, contact any employee of the GSB Group.